The Congress's victory in the Chitrakoot Assembly bypoll in Madhya Pradesh signals the "winds of change" blowing in the political landscape in the country, Randeep Singh Surjewala said. NEW DELHI: The Congress's victory in the Chitrakoot Assembly bypoll in Madhya Pradesh signals the "winds of change" blowing in the political landscape in the country, its chief spokesperson said today. 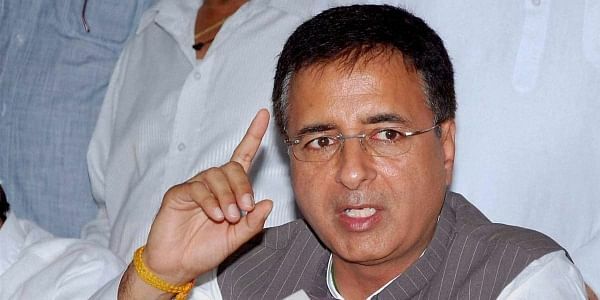 Taking to Twitter, Congress's chief spokesperson Randeep Singh Surjewala thanked the voters for reposing faith in the party. "The winds of change are in the air. Many thanks to the people of #Chitrakoot for their faith and trust in the Congress party," Surjewala said. Congress candidate Nilanshu Chaturvedi defeated the ruling BJP's Shankar Dayal Tripathi by a margin of over 14,000 votes today. Chaturvedi polled 66,810 votes as against Tripathi's 52,677 votes, returning officer A P Dwivedi said. Around 65 per cent voting was recorded in the November 9 bypoll, necessitated following the death of sitting Congress MLA Prem Singh (65).